How to bind wallet to MetaMask? If you have a Wallet (perhaps on another wallet application) that is not created in MetaMask, but you want to register a LikeCoin ID with that wallet, you need to bind your wallet to MetaMask. 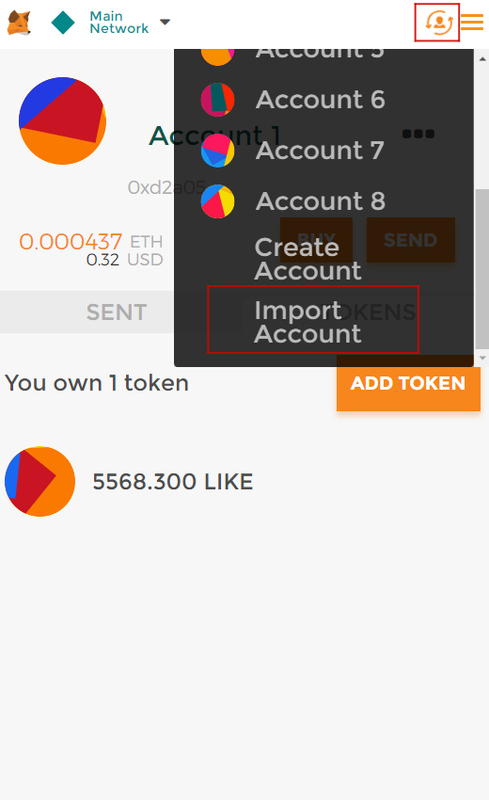 The binding method is very simple, click the upper right corner of the MetaMask , then click Import Account. Go to the wallet you want to bind and find the Private Key. Then paste it and click IMPORT.